I use Safari by default, but I’m a still bit of a browser hopper at times. The stark reality for anyone who runs a website — whether a bonafide developer or a hack like me — is Chrome Browser accounts for around 60% of all web traffic 1. I have made the mistake of optimising this site for Safari, based on a ropey sense of potential reader preference. If you’re a chrome user reading this, I assure you I have disabused myself of that notion. 2 Given Google all but owns the web, knowing your way around Chrome is non-negotiable. In many ways Chrome is drastically more functional than Safari. 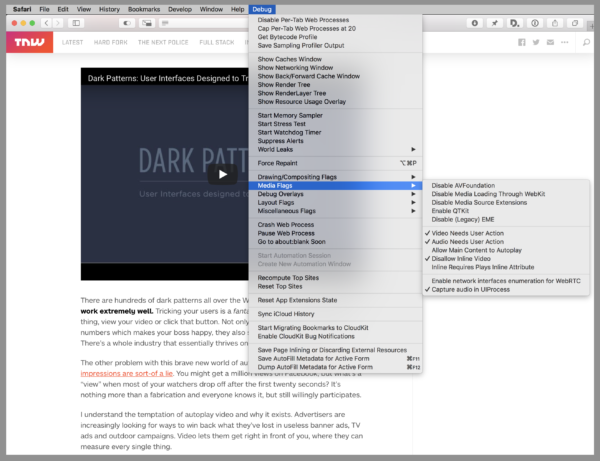 For extensibility, it leaves Safari in the dust. If there is one thing I have always appreciated about Chrome, 3it’s the ability to dig into the experimental features. 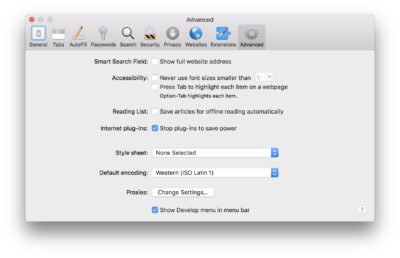 To do similar things with Safari requires invoking a terminal incantation, using the Safari Technology Preview version, or both. It is a little on the janky side. If you’re ever troubleshooting chrome, it is worth looking at the flags to see if you can’t put paid to unwanted behaviour. There are some useful features buried in there. If you don't know what chrome flags are, or you're wondering what they can do, here are a couple I set recently. This is an old trick that douche-bags use to trap users on a site. Loading history entries with the current URL means when users hit the back button it simply reloads the same page. Chrome has a handy little flag to disable this behaviour. There are two flags I like to set for this. One for Autoplay, and the second to automatically mute any tabs that somehow escape this rule. Get back to browsing, and enjoy.